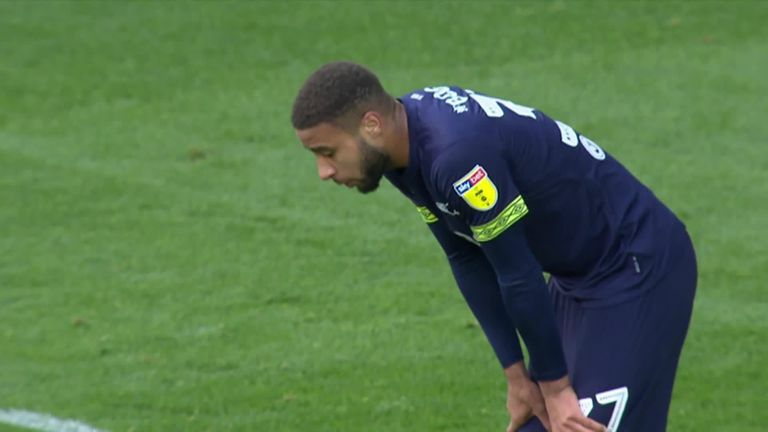 Derby teenager Jayden Bogle scored a nightmare own goal to hand Middlesbrough a 1-1 draw at the Riverside Stadium on Saturday. With the Rams leading heading into the final minutes, the 18-year-old, who had had a brilliant game until that point, miscued his attempted clearance and instead steered it past his own goalkeeper Scott Carson. On Bogle's own goal, Derby boss Frank Lampard said: "I spoke to him straight away on the pitch and he shouldn't be down at all. "It's no reflection on him at all, as I say it was a freak goal. All of the players were outstanding it was just unfortunate for Jayden Bogle. "He's quietly upset as you can imagine. It was just a combination of long balls into the box and it's unfortunate for him."